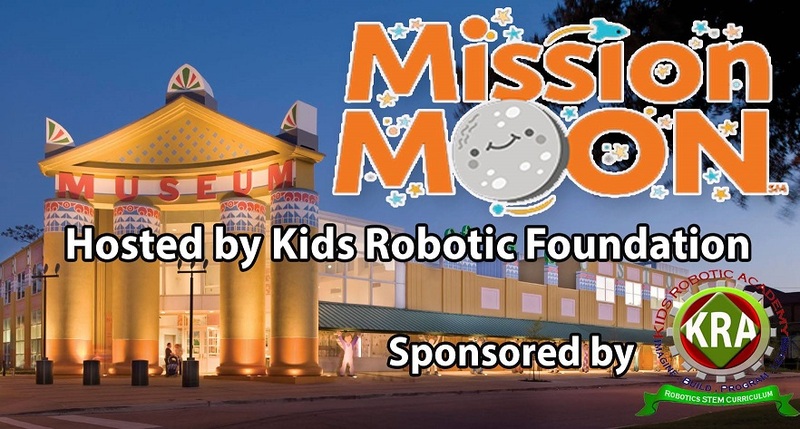 Calling all First Lego League Junior teams for an exiting event on December the 8th, 2018 at the children's museum Downtown. December 8th from 8:30 AM - 12 PM! Due to limited space and availability, it is very important that teams RSVP before Thursday, November 29th! Please RSVP by registering on below. The event takes place place in the Duncan Family Conference Room on the second floor of the museum. Please check in at the guest information desk when you enter the building and you will be directed to the conference room. Parking is not included, so all teams are responsible for their own parking. **This form has a disclaimer parents must complete for each child participating or attending this event. TEAM Registration: to confirm the registration all coaches are required to send a email toLillie Nguyen, lillie@kidsroboticacademy.com stating their interest in the expo event. Please payments of $35 per team along with roster, and make checks payable to Kids Robotic Foundation. 1- Teams are expected for bringing a LEGO based mechanized model and a poster supporting their team’s research. The team will be interviewed at the event. The Event concludes with medals to all teams.